Forgetful Students? Never Lose Another Book. 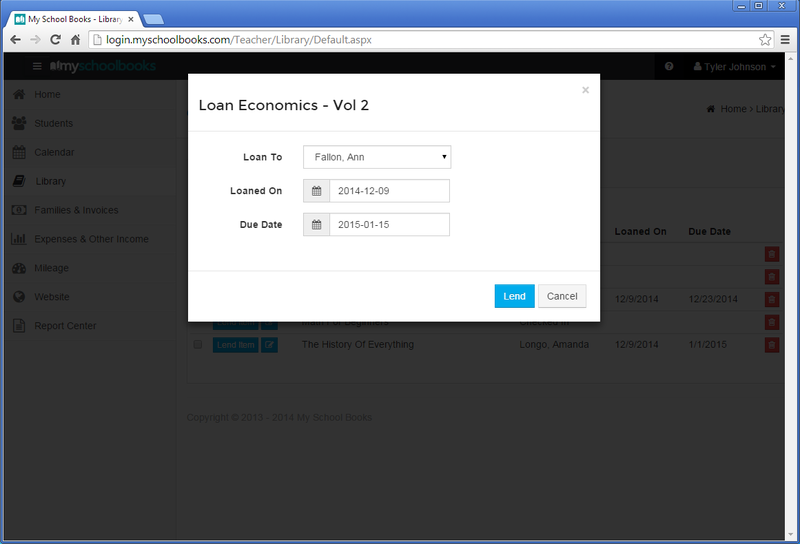 My School Books Lending Library feature lets you keep track of any materials that you’ve loaned to students. 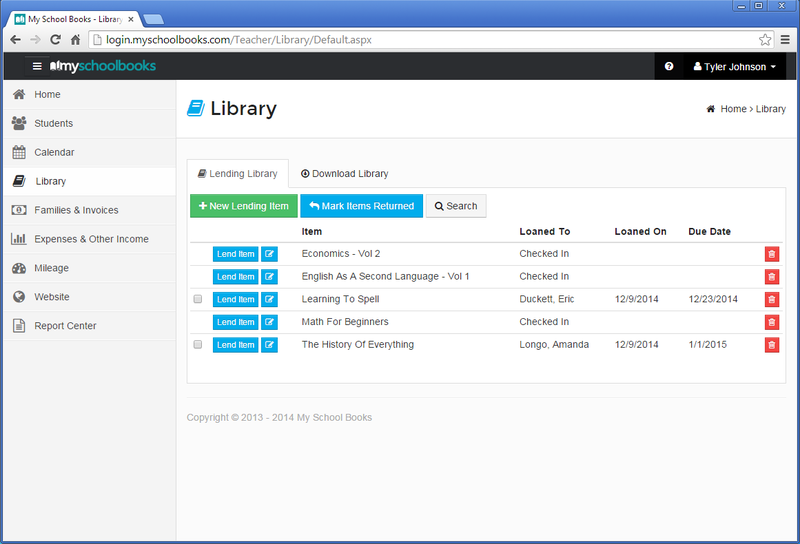 Keep track of books, notes, practice exams and anything else that your students borrow from you. Start saving time and money by keeping track of materials, and say goodbye to missing items. Once you start using My School Books you’ll wonder how you ever got along without it. 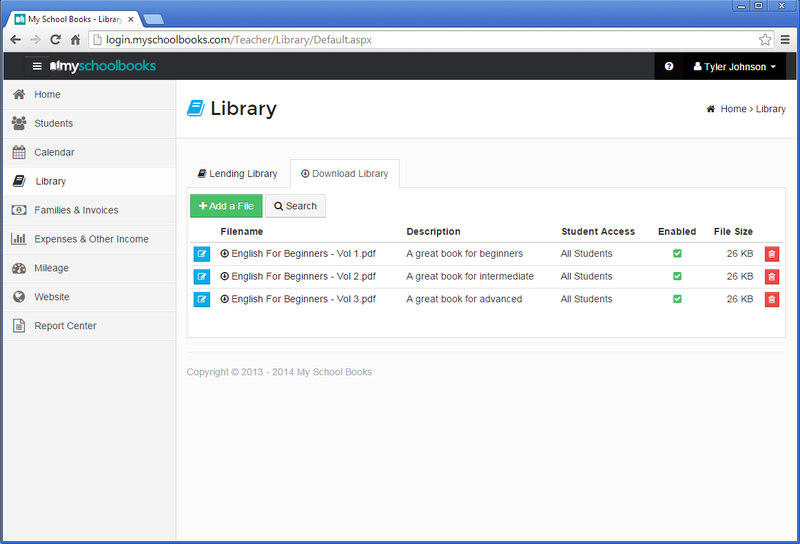 My School Books Download Library allows you to upload private files for sharing with your students. Upload e-books, slide shows or anything else from your computer that you want to share with your students. The download library is separate from your publicly accessible My School Books website, so only your students can access it. You can even restrict access to specific students, so you can upload a private lesson presentation and give access only to the students you choose.